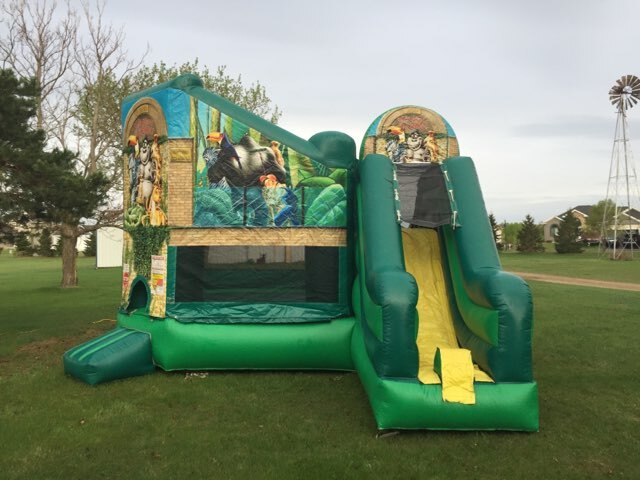 Zoo Combo Bouncer Rental | FroggyHops.com Minneapolis MN. BEWARE OF THE ANIMALS! This combo bouncer doubles as an animal cage at the zoo containing active kids... both boys and girls! 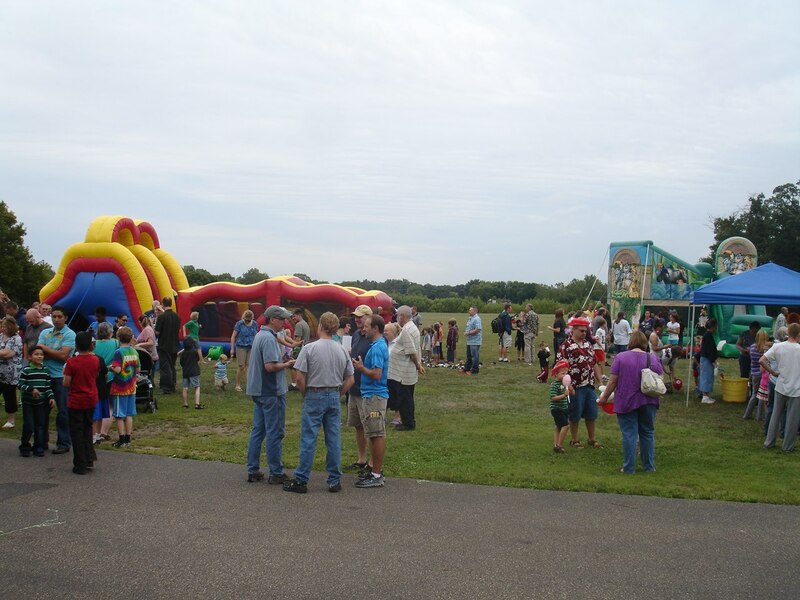 The friendly animal theme is a perfect match for any event whether it is a birthday party, school carnival, church event, or something even bigger! The large front panels feature friendly gorillas, giraffes, monkeys, and more! 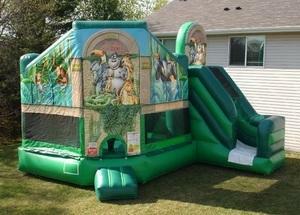 This bouncer has an EXTRA-LARGE and spacious jumping area that can accommodate up to 8 participants at a time. It features an inflatable safety ramp at the entrance to protect excited kids as they scramble to get inside the bouncer. Once up the ramp, there is a safety passageway opening that is easy for young children to crawl through, but difficult for them to fall out while jumping. Inside the Zoo Combo, your little animals will enjoy the open jumping space, they will ascend to new heights on the climbing wall, and fly down the 8 foot tall slide! At the bottom of the slide there is a safety stopping wall that leads kids back to the entrance of the bounce house. The climbing wall and slide on this combo will provide hours of endless fun! Additionally, this bouncer also has large netted vent windows that allow for fresh air-flow that keeps your active kids cool in the summer and also makes supervision of the activities inside the sports arena a breeze! The bouncing area is open to the sky for great views and cool air. Wild occupants not included!